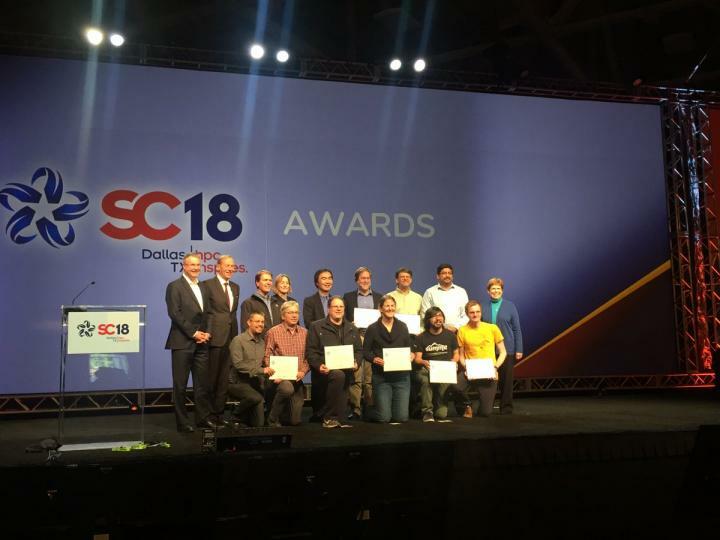 Dallas, TX, November 15, 2018 – ACM, the Association for Computing Machinery, has announced that two teams will share the 2018 ACM Gordon Bell Prize. A seven-member team affiliated with the Oak Ridge National Laboratory is recognized for their paper "Attacking the Opioid Epidemic: Determining the Epistatic and Pleiotropic Genetic Architectures for Chronic Pain and Opioid Addiction," and a 12-member team affiliated with the Lawrence Berkeley National Laboratory is recognized for their paper "Exascale Deep Learning for Climate Analytics." Paper Title: "Attacking the Opioid Epidemic: Determining the Epistatic and Pleiotropic Genetic Architectures for Chronic Pain and Opioid Addiction"
According to the US Centers for Disease Control and Prevention (CDC), 115 people die every day in the US from opioid overdoes. Additionally, the CDC found that there was a 30% increase in opioid overdoes in the period between July 2016 and September 2017 in 52 areas and 45 states. The aim of the Oak Ridge National Laboratory (ORNL) team is to use supercomputing to provide a tool in combating the opioid epidemic by understanding the underlying genetic architecture of how individuals develop chronic pain and respond to opioids. ORNL team members also believe that their project will help with the identification of new therapeutic approaches for opioid misuse. Genome-wide association studies (GWASs) have led to important discoveries in varied types of diseases. For a genome dataset, the ORNL team had access to the Million Veterans Program (MVP), a joint initiative of the US Department of Energy and the US Veterans Administration (VA). The MVP dataset includes 750,000 human genome types, associated with more than a billion medical records over a 20-year period. The ORNL team developed a new "CoMet" algorithm that allows supercomputers to process vast amounts of genetic data and identify genes that may be more susceptible to pain and opioid addiction–as well as promising treatments. By running the ORNL team's algorithm, supercomputers were able to successfully process genetic data at a magnitude that is four to five times greater than the latest state-of-the-art approaches. In addition to processing information about the genetics of pain and opioid addiction, CoMet is currently being used in projects ranging from bioenergy to clinical genomics. Paper Title: "Exascale Deep Learning for Climate Analytics"
Innovations from advanced scientific computing have a far-reaching impact in many areas of science and society–from understanding the evolution of the universe and other challenges in astronomy, to complex geological phenomena, to nuclear energy research, to economic forecasting, to developing new pharmaceuticals. The annual SC conference brings together scientists, engineers and researchers from around the world for an outstanding week of technical papers, timely research posters, and tutorials. ACM, the Association for Computing Machinery is the world's largest educational and scientific computing society, uniting computing educators, researchers and professionals to inspire dialogue, share resources and address the field's challenges. ACM strengthens the computing profession's collective voice through strong leadership, promotion of the highest standards, and recognition of technical excellence. ACM supports the professional growth of its members by providing opportunities for life-long learning, career development, and professional networking.